Zyazikov Uruskhan Aslambekovich, 1928. kidnapped in March, 23, 2007. Released in October, 11, 2007. 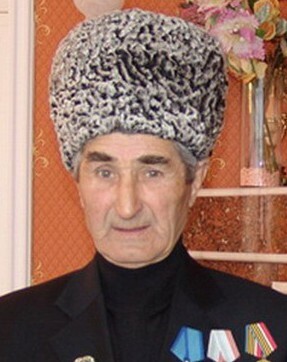 In March, 23, 2007, at about 12:10, in Zheleznodoroznaya street,Barsukinsky district of Nazran,four unidentified camouflaged,armed and masked persons,kidnapped 79 years old Uruskhan Zyazikov, Murat Zyazikov’s uncle. RI ministry of internal affairs press-centre informed that three criminals attacked Uruskhan Zyazikov (their driver stayed in a car).Jumped out of their car,they ganged at Uruskhan Zyazikov and boxed him up into the car. Uruskhan Zyazikov’s companion who tried to prevent committing the crime was shot at his leg by the kidnappers. Wetnesses of the crime insist that the attackers were camouflaged and spoke russian but in FSB board said that it does not say about criminals’ nationality: «Many people in Ingushetiya spoke russian».After the incident near the mosque,plans «Perekhvat» and «Vulkan-5″ were actuated in Ingushetiya.The licence number plates were established but checked them,the investigators found out that they have been crooked. There were not official versions of the kidnapping motives forwaded by law enforcement. But according to the locals’ opinion who are familiar with Uruskhan Zyazikov’s family,the criminals most probably demand not on president of Ingushetiya but a chief of his guard,Ruslanbek Zyazikov(the hostage’s son). By the fact,Nazran procuracy instituted a criminal case by law article 126,part 2,items «a,v,g» (kidnapping,committed by a group by previous concept using arms). The republican parliament and general public repeatedly addressed to the abductors through massmedia asking them to set free the man. He was released in October,11,2007.